Enjoying Fresh Fruit ~ Ripen On its Own or Ripen at Home? Have you ever purchased fresh fruit, expecting it to ripen at home, and it never does? Perhaps you bought a pint of strawberries and noticed a few green ones at the bottom of the container. Well, no matter how long you wait, those green strawberries will never turn red and juicy. The key to enjoying “ripe” fruit is to know which fruits ripen only on the plant and which fruits continue to ripen after they are picked. As fruits ripen, color, size, weight, texture, flavor and aroma will change. These changes improve quality and contribute to the pleasure we experience when eating fully ripened fruits. When purchasing fruits that will only ripen on the plant, select items that are fully ripened. Some examples include grapefruits, lemons, oranges, blackberries, cherries, grapes, strawberries and watermelon. Fruits that will continue to ripen after being picked include bananas, kiwi, mango, pears, avocado, blueberries, cantaloupe, guava, honeydew, nectarine, papaya, peaches, persimmons, and plums. Ripe fresh fruit is a delicious and healthful addition to any meal or snack. 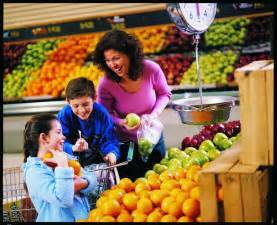 But before you indulge, make sure to handle fresh produce, whether fruits or vegetables, safely to reduce risk of foodborne illness. Always wash your hands with warm soapy water before and after handling fresh produce. Also, wash utensils and surfaces that will be in contact with fresh produce with hot, soapy water, then rinse, sanitize, and let air dry. Typically, with few exceptions, fully ripe fruit should be refrigerated at 40 degrees F or less, and consumed within a few days. Cut-up produce should always be kept refrigerated until ready to eat and consumed promptly~ it is not safe to leave at room temperature for more than two hours. Learn more about handling fresh produce safely at Fresh Produce: Safe Handling Practices for Consumers.